An evolved company is one that is focused not only on today's success but on a sustainable support network that will seamlessly carry it into a successful future. The Q12 Gallup Survey empowers companies to do that through mobilizing their biggest asset – their workforce – and optimizing it for stability and growth. Employee engagement is where that journey begins, and the 12 simple questions of the survey help identify strengths and weaknesses for each team to build on. Gallup, arguably the heaviest hitter in the analytics sphere, has discovered engagement is a crucial metric that affects everything from performance to absenteeism. Engagement can be responsible for sending substantial ripples through other key business activities, as well. Even if you imagine your company is progressive and "ahead of the game" when it comes to engagement, statistical findings are more likely to direct you to the middle of the pack. According to a 2015 Gallup survey, only 32% of employees feel engaged at their job, which means that roughly 7 out of 10 employees do not feel engaged in their work. This statistic might sound startling when presented by itself, but think of it this way: when was the last time you looked at your employees with a proactive eye toward engagement? Productivity, absenteeism, hours worked—these are all metrics to gather passively. It isn't to say that knowing your weaknesses alone will win the battle for employee hearts and minds. The Q12 employee engagement survey needs action as the first step in an active, versatile plan to eliminate the issues that stand between your current state and goals. Rather than a shallow list of results, the Q12 presents your findings in an actionable way: one that encourages collaboration and discussion. Even before you make administrative or policy changes, the very process of group discussion on results can revolutionize collaborative attitudes between General Managers, Managers, Specialists, and their employees. Engagement starts with listening, and the first step to good listening is bringing a common subject to the table—like survey results. If your company is struggling with engagement problems, bear in mind the problems didn't appear overnight. Similarly, real solutions can't be implemented through a fire-and-forget method; we need constant checkups to course-correct in an organic and manageable way. Just because you make and agree upon a plan doesn't mean it will always work perfectly; both supervisors and individual workers need to hold one another accountable for making the necessary changes. 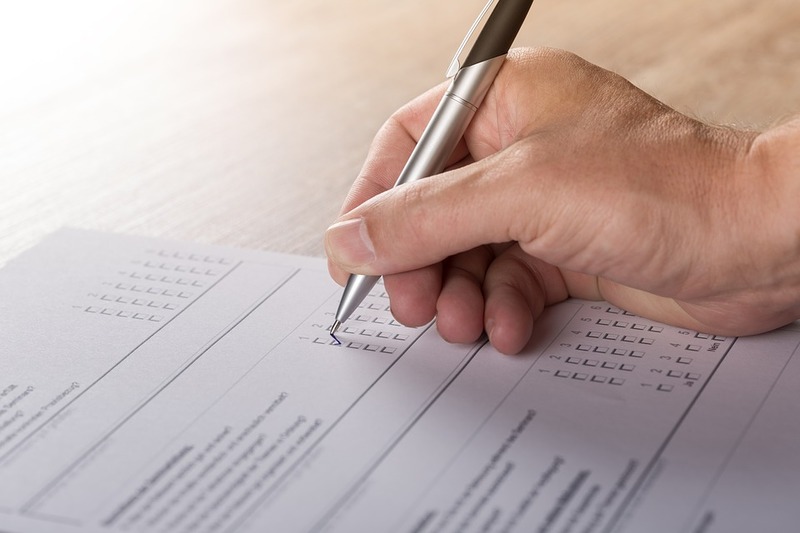 Unlike a "suggestion box" approach to changing engagement-impacting issues, the Q12 survey forces a two-way conversation between management staff and their employees, with a goal of giving everyone's voice equal time and weight. Much like your workflow as a whole, the Q12 survey uses teamwork to achieve desired results. Consider this: according to a recent Deloitte survey in the Wall Street Journal, 80 percent of responding companies reported their employees were overwhelmed with information and/or activity in the workplace. With that in mind, the logical answer to engagement concerns isn't introducing additional edicts and reports into the mix. The survey experience encourages managers to fact-find and discuss, rather than "reprimand and command" their way down perceived goal paths. By focusing on better collaboration and making team recognition a priority, managers can become part of the connecting process for their employee groups, rather than simply acting as the temporary orchestrator. Without the benefit of actionable data points, like that offered by a Q12 survey, you won't know where you currently stand with your employees. That means the potential for overacting or not doing enough towards engagement improvements is a very real danger. When you take the temperature of the proverbial room with a Q12 survey, you're able to spot opportunities as well: an offhanded comment from an employee eager to take on more responsibility can easily transform into a useful project that will affect the level of engagement. Future implementation of improvements is just as important as getting a snapshot of your employee engagement now; keep the momentum moving and use your results to fuel true, positive change within your organization. Encouraging employees to participate and to answer with honesty will help you better manage your assets and build an environment in which collaborative success can flourish. Your employees feel needed and respected, you have your finger on the pulse of your organization, and your team learns to act as a unit, rather than as a group of disparate forces.